The Moses Quilt is a contemporary novel that bridges racial and generational divides. With a realistic and compassionate look into a twenty-first-century dilemma, multiple award-winning author Kathi Macias introduces readers to a confused and apprehensive young woman, Mazie Hartford. Facing major decisions about the love of her life and her future, she must also wrestle with a nagging question about her family's past. She finds the answer to her questions in a most unexpected way--her great-grandmother's Moses quilt. As her great-grandmother begins to explain how each patch represents a story of courage and freedom, Mazie must decide if she has the courage and freedom to overcome her own personal fears and prejudices. What a fascinating quick read, once I started I had to finish it. The family relationships here are wonderful. Mazie Hartford lives with her Mom, Lilly, and her Great-Grandmother Mimi. She is in a long term relationship with Edward Clayton, he actually wants to move toward marriage. His family adores Mazie, and hers loves Edward...her 93 year old Great-Grandmother actually lights up in his presence. So what is Mazie's problem? Mimi knowing that at 93 her time on earth is getting short, has decided to give Mazie a quilt. It is not just any quilt, there is a historical story behind it, and it is called the Moses Quilt. Mimi begins to tell the story of the quilt to Mazie, it is about Harriet Tubman, the Moses to her people. Hearing the story of each of blocks is so interesting, I loved it. Edward then is asked to join and becomes enthralled in the stories. Will the quilt help Mazie to make up her mind, let go of whatever it is that is keeping her from marrying this Godly man? Or will the answers they find in the quilt end up driving them apart. 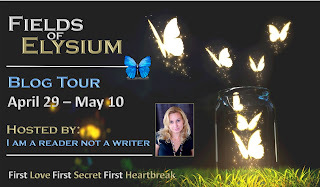 Kathi Macias has done it again, written a captivating story. Don't miss this...enjoy! I received this book through Christian Speaker Services, and was not required to give a positive review. Grace's autistic son needs a life that is safe and consistent. Seth wants to leave his flirting days behind him and settle down. 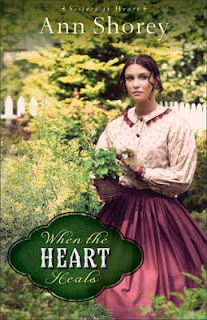 Deep in the heart of the Allegheny Mountains of Pennsylvania, the beautiful and weary Amish widow, Grace Beiler, is not looking for a husband—especially one so much younger than her. But handsome and smitten Seth Wyse stumbles upon a way to help her and they marry to keep Grace’s autistic son safe from his ill-intentioned uncle. Grace soon discovers that she is far from immune to her young husband’s experienced charm and realizes that her first marriage has not destroyed her capacity for love. Seth Wyse seeks counsel from his older brother, Jacob, when playing the game of pursuing his wife becomes more dangerous to both his heart and life than he ever imagined. Yet God can give Grace and Seth a passion for family and each other that teaches them the ways of the Master Quilter through the tangled and tender threads of their lives. 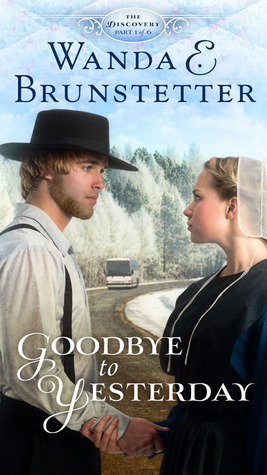 I really enjoyed this Amish story. Could feel myself cringe at that young girl, Grace Raber, being forced into a marriage with a cruel man, Silas Beiler. When the book opens her living hell is over, her evil husband has died. She has begun a new life in Pine Creek PA. She does now have a young son, Able, who is Autistic. While she is working in the garden, a stone wall falls on her, she sends Able to the neighbors for help. So begins the relationship of Grace and Seth. One thing we see throughout the story is how Grace has been badly hurt, and her learning to accept love. You do see God working in all of their lives, and all they need to do is accept his Grace! Loved Alice...we meet her again. Although she is English, you want her to stay and be part of the family. Then their is Violet Raber, Grace's younger sister. She sees what she wants and not going to be stopped. You do feel while reading that their is evil lurking, is someone going to be hurt? Don't miss this great read, once you start you will not be able to put it down. I received this book through Thomas Nelson's Booksneeze Blogger Program, and was not required to give a positive review. 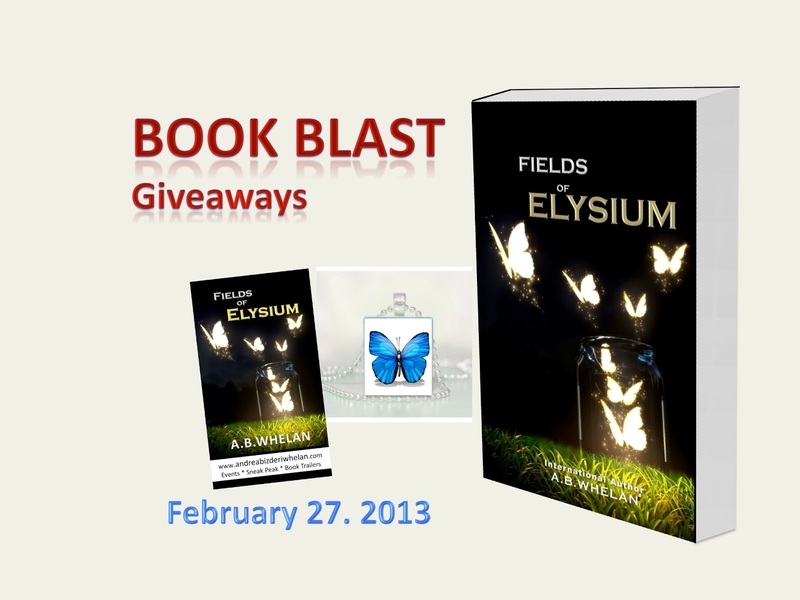 I Am A Reader, Not A Writer Pressents: Fields of Elysium Book Blast. 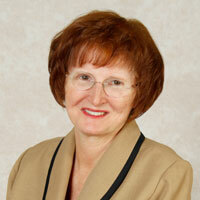 Evelyn Puerto left a career in health care planning to serve as a missionary for seven years in Russia. During those years, she met and was inspired by the Brynza family, whose story she tells in Beyond the Rapids. After her return from the mission field, she got married, inheriting three stepdaughters, two stepgrandsons and a cat. Imagine that you are a believer living in a communist country. You live with the knowledge that at any time you could be imprisoned, tortured or killed simply because you are a Christian. 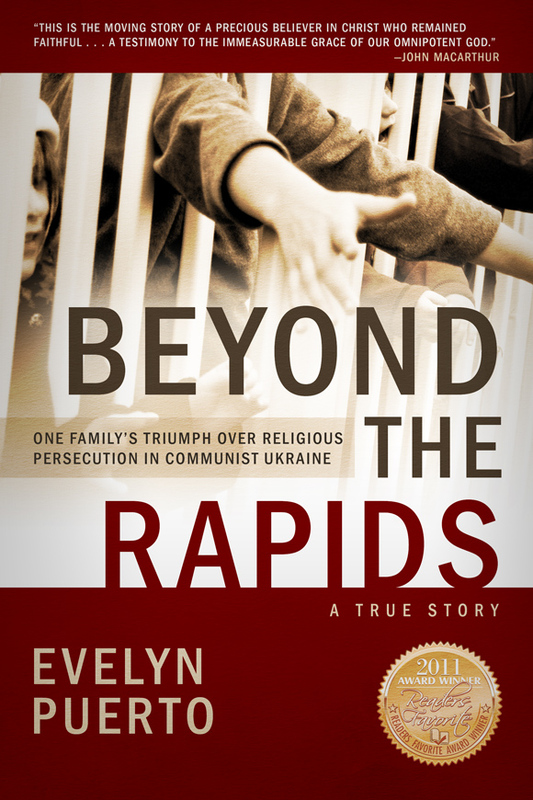 Award-winning Beyond the Rapids is the true story of Ukrainian pastor Alexei Brynza and his wife, Valentina, who endured persecution in a culture that was hostile to their faith as they struggled to raise their children as believers The Brynzas children were tempted by ambition, wealth, love and popularity as they struggled with the choice between embracing the communist system or believing in God. Beyond the Rapids is an inspiring story of God's grace and faithfulness in all circumstances. My parents didn’t allow my three brothers and me to play with the other children in the neighborhood. They built a wood fence around the yard and installed a gate, which Mama locked every morning after Papa left for work. Then she let us amuse ourselves in the yard while she was cooking or planting potatoes or taking care of the goats. We often stood at the gate, peeking through the bars, stretching our hands into the air, rejoicing that our hands were free, even if we were not, waving at the neighbors passing by, neighbors who laughed at us, remarking we were like prisoners in jail. Maybe the neighbors were joking; maybe they remembered that our grandfather had been imprisoned during the Great Patriotic War. Many Ukrainians rejoiced when our country was invaded. Some greeted the German army with bread and salt, the traditional symbols of welcome, hoping the Nazis would rule more humanely than the iron-fisted communists. After two years of German occupation, the Soviet Army drove the Nazis out, fighting so fiercely around Zaporozhe that the Dniepr River ran red with the blood of the dead. To the Soviet authorities, this was traitorous. How could any citizen shirk his duty to defend the Motherland from the fascist invaders? The Nazis treacherously attacked our country, plundered wantonly, slaughtered millions of people, and carried off thousands more to slavery in Germany. Maybe my grandfather would have been more willing to help a regime that had not been so cruel to believers. He certainly wasn’t going to compromise his principles to help the Communist Party complete its Five Year Plan. He would remain true to his faith and convictions no matter what. For many years the authorities sought reasons to arrest Grandpa for his faith; now they had grounds to execute him. He was tried, sentenced to death by firing squad, and flung into the death cell with others condemned to die. There he sat for an entire month. The guards distributed almost no food and offered no medical care of any kind to these prisoners, reasoning that the inmates were going to die anyway. Why waste good food or medicine on traitors and criminals? One morning the light drilled into Grandpa’s face. He calmly said good-bye to his cellmates. After a month in the death cell he still wasn’t sure why he had been arrested. Was it for refusing to fight in the army, refusing to kill another human being? Or was it simply for his faith? Now his sentence was about to be fulfilled; it didn’t matter why he was to die. He staggered to his feet, lightheaded from hunger, stiff from inactivity. The weak light of the winter sun pierced Grandpa’s eyes when he left the cell. Each step was a struggle, every muscle protesting, pain shooting through his feet as he walked to certain death, his heart at peace. He knew that in a few minutes he would be rewarded for his faith and enjoy eternal life with God. The guards marched Grandpa along the muddy streets of the camp. As they passed the headquarters, an officer came out. “Where are you taking this man?” he asked. “My mother was a Baptist,” said the officer. “I can’t allow you to kill him. Give him another trial.” At the second trial they sentenced Grandpa to ten years hard labor in a concentration camp in Siberia. Grandpa’s suffering was only beginning. What an amazing book! Once I picked it up, I could not put it down. It is a rather fast read, and written as though you are standing there with them. The most amazing thing is that it is a true story! The book takes place in the Ukraine beginning in the 1930's and ending in the present. This the Byrnza families story. Beginning with the Reverald Alexei and his wife, Valentina, their children Yakov, Viktor, Lena and Veniamin. We travel with them and their many trials. First and foremost they are Christians, and have learned that there is a high price to be paid for being one. Each of the children tell the story of their lives, the hardships, and the joys. We take so much for granted living in the US, never having to risk my life for my beliefs. To be a Baptist in the Communist, Atheist Ukraine, is to be a very low life. You never know when the car will stop outside your home and take you away. Loved how people like Igor, Lena's to be husband, come to the Lord. Amazing and yet not, for we all have the chance. It is a real joy to read these stories, and realize that God is with them. He answers their prayers, not always as they wished, but he sure heard them. Once you read this book, it will linger with you for a long, long, time. Thank you Evelyn Puerto for the gift of such a book. I am thankful! Mattie [Tilly] does have a beautiful, sweet, giving step-sister, Ella. She feels like she lives in her shadow, can never be good enough. Mattie is very much in "love", with Ella's boyfriend Jake. 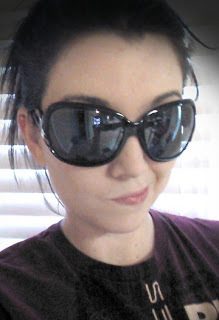 She is hounded by the class bully...a two car named girl, Mercedes Benz. What a stinker that girl is. You will feel like your back in High School, and rooting for the good ones! Mattie is a modern day Goth. Her Mother, whom she does not live with or really see, keeps in touch with her by Skype. You wanted to disconnect her whenever she called!! 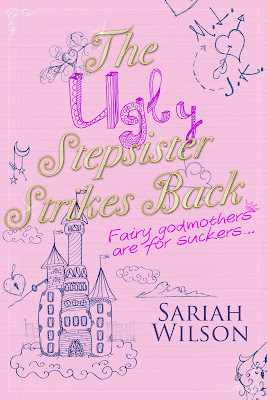 This is a modern day Cinderella story, and I wish I could look at some before and after pictures. Coming from a privileged background does not mean happiness. Be ready for a really good captivating read. 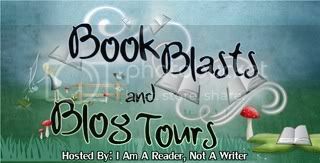 I received this book through The I Am A Reader, Not A Writer Blog Tour, and was not required to give a positive review. When Taylor comes face to face with a ghost and Raine crosses the line between friend and boyfriend--Taylor’s new life collides with her haunted past. If murdered people end up as ghosts, then that someone she was trying to forget is probably trying to find her. "I was wonderfully surprised by Phantom Summer!!! I couldn't put it down. Loved everything about it." "The emotions are so well written... I would definitely recommend reading this." 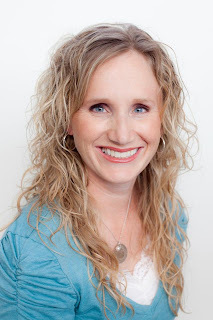 Amy Sparling is a Texas native with a passion for young adult literature. In her free time she participates in an unhealthy amount of Xbox playing, attends nerd conventions and reads books with her daughter. She's studying to become a high school teacher and lives near the beach with her daughter and two cats. Amy Sparling is a pen name. On a chilly January morning, anesthesiologist Dr. Jenna Reiner made her daily drive to St. Augustine hospital, completely unaware that her life was about to change forever. One of the surgical technicians in her hospital has been stealing syringes, and infecting patients with hepatitis C. The battle against the thieving surgical technician was only the beginning. Jenna Reiner was about to begin the fight of her life – the fight for her reputation, her pride, and her sanity. 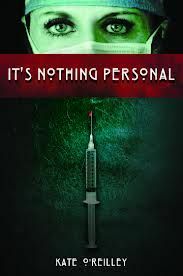 Beautifully composed, and inspired by real-life events, It’s Nothing Personal is a riveting, suspenseful, and emotional thriller that tells the story of faith and fortitude when an innocent woman finds herself surrounded by corruption and greed. 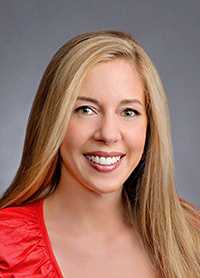 Kate O’Reilley is a physician, specializing in anesthesiology. 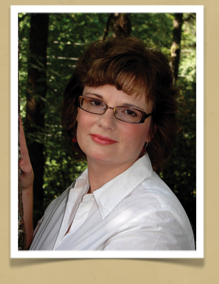 In late 2009, Kate was plunged into a painful battle in a high-profile, medical malpractice suit. The calamity that ensued nearly destroyed Kate and her family. After the suit ended and the wounds started to heal, Kate was urged by close friends and co-workers to document her experiences. The words flowed, and It’s Nothing Personal was born from Kate’s journey through her temporary hell. Kate’s second book, In Good Hands, is a moving, gripping, and tragic story of an anesthesiologist who dispenses her own version of justice after being the innocent victim of a brutal crime. Kate currently resides in Colorado with her husband and beautiful daughter. In her spare time, she enjoys running, writing, reading, and spending time with her family. Her vacations are always spent in Hawaii, a place that Kate and her family hold dear to their hearts. Having lived on Oahu while her daughter was young, Kate and her family relish the day when they can return to the islands permanently. Once I opened the covers on this book, I virtually devoured it. Wow! It contains so many emotions, and the main character Jenna Reiner, is so loveable. We would all want to achieve and be like Jenna. What looks like she has it all...a successful Dr, Wife and Mother. When it all comes tumbling down! It's Nothing Personal is just as it says, it is greed. Felt so much like real life, and you wanted to reach out and smack one of the characters. Don't know how people live with themselves. Loved what Jenna does to the judge! 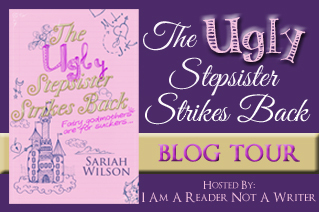 Don't want to give much away, as you are going to want to read this for yourself! In all it makes to realize what is really important! It isn't money! Be ready for a roller coaster ride in this one, and I thought I had it figured out, not even close. 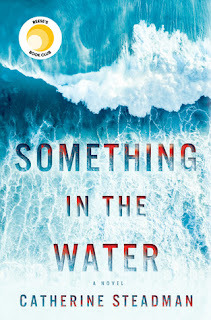 I am really looking forward to Kate O'Reilley's next book due out this coming summer, In Good Hands. Thank you Kate, for this really great read! 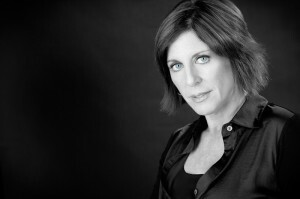 A new memoir from Sunday Times and New York Times bestselling author Cathy Glass. Eight-year-old Aimee was on the child protection register at birth. Her five older siblings were taken into care many years ago. So no one can understand why she was left at home to suffer for so long. It seems Aimee was forgotten. The social services are looking for a very experienced foster carer to look after Aimee and, when she reads the referral, Cathy understands why. Despite her reservations, Cathy agrees to Aimee on – there is something about her that reminds Cathy of Jodie (the subject of ‘Damaged’ and the most disturbed child Cathy has cared for), and reading the report instantly tugs at her heart strings. When she arrives, Aimee is angry. And she has every right to be. She has spent the first eight years of her life living with her drug-dependent mother in a flat that the social worker described as ‘not fit for human habitation’. Aimee is so grateful as she snuggles into her bed at Cathy’s house on the first night that it brings Cathy to tears. Aimee’s aggressive mother is constantly causing trouble at contact, and makes sweeping allegations against Cathy and her family in front of her daughter as well. It is a trying time for Cathy, and it makes it difficult for Aimee to settle. But as Aimee begins to trust Cathy, she starts to open up. And the more Cathy learns about Aimee’s life before she came into care, the more horrified she becomes. It’s clear that Aimee should have been rescued much sooner and as her journey seems to be coming to a happy end, Cathy can’t help but reflect on all the other ‘forgotten children’ that are still suffering. 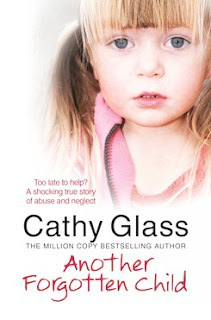 Cathy Glass is a bestselling British author, freelance writer and foster carer. Her work is strongly identified with both the True Life Stories and Inspirational Memoirs genres, and she has also written a parenting guide to bringing up children, Happy Kids, and a novel, The Girl in the Mirror, based on a true story. Glass has worked as a foster career for more than 20 years, during which time she has fostered more than 50 children. Her fostering memoirs tell the stories of some of the children who came in to her care, many of whom had suffered abuse. The first title, Damaged, was number 1 in the Sunday Times bestsellers charts in hardback and paperback. Her next three titles, Hidden, Cut and The Saddest Girl in the World, were similarly successful, all reaching the bestseller charts. The name "Cathy Glass" is a pseudonym. 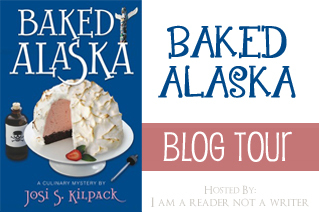 The author writes under a nom de plume due to the sensitive nature of her source material. The names of the children she writes about are likewise altered. Such an eye opening read, and it reads very fast, and yet I felt I was standing next to Cathy the whole time. Being there from the first when Aimee arrives. Cathy has such a kind and firm way about her, and I can see that God has given her such a gift and put her where she needs to be. Be sure to have a box of tissues handy, some unbelievable things come out...yet they aren't unbelievable, as evil does walk this earth. This story takes place in England, but it sounds like here in the States, a child getting lost in the system. Happens way to often, no Child left behind...not true! I personally know of one, and the State she lives in wants the child to take care of the unfit Mother...no advocate for the Child. Thank you Cathy for sharing your gifts, and then sharing them with us. May you be blessed! 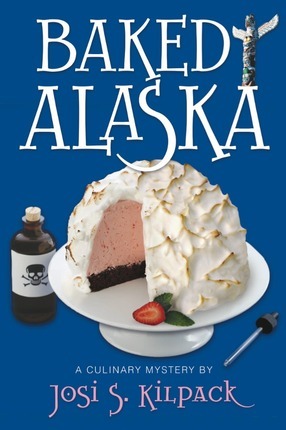 I received this book through The Library Thing Early Reviewers Program, and was not required to give a positive review. Rosemary Saxon served as a nurse during the Civil War, a service that has caused most women in town to regard her as unfeminine and downright vulgar. Although she would like to put her experiences as a nurse behind her, she must support herself. She takes a position with Dr. Elijah Stewart and a mutual attraction begins to develop. But when a sophisticated woman arrives in town claiming to be Elijah's fiancee, a heartbroken Rosemary decides to leave Noble Springs and start fresh. Can Elijah convince her of the mystery woman's deception before he loses her forever? With tenderness and grace, Ann Shorey invites readers back to the town of Noble Springs, Missouri, for an engrossing story of love's tentative first steps and fragile future in the face of opposition. Readers will find in Rosemary a sympathetic but strong woman determined to thrive in a world that doesn't always understand. 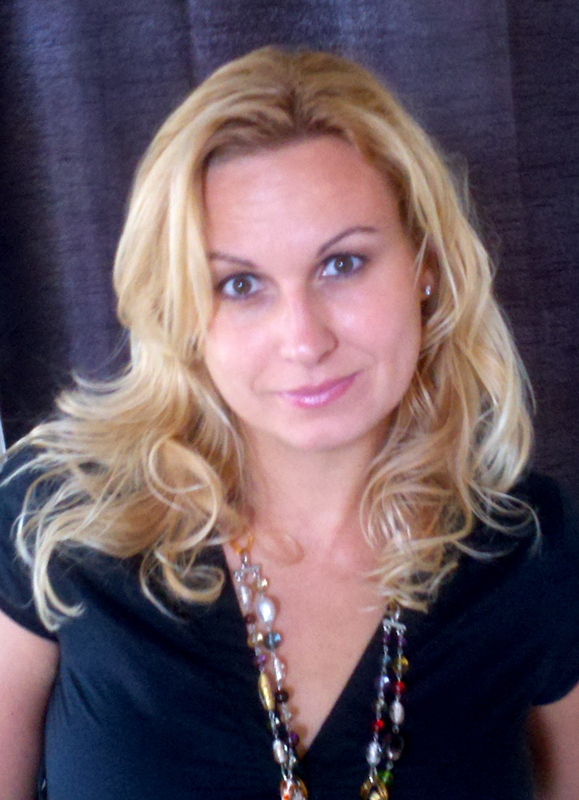 Ann Shorey is also the author of THE EDGE OF LIGHT, THE PROMISE OF MORNING and THE DAWN OF A DREAM. She has also published selections in the Cup of Comfort series and in CHICKEN SOUP FOR THE GRANDMA'S SOUL. Shorey lives with her husband, Richard, in Oregon. I found this to be a compelling page turning fast read. Once I started, I couldn't put it down. After the Civil War Rosemary Saxon is looking for a way to earn a living. All she really knows is nursing, and I for one never knew they were so looked down at. Evidently, people though a Lady should never see or clean a mans body. Oh well, she is now getting desperate. So she takes a chance and asks the new Dr in town for a job. Dr Elijah Stewart, has decided to settle in Noble Springs, MO, and is now setting up his practice. He is horrible at keeping the books, so when out spoken, Rosemary asks for employment...yes! Rosemary has always been interested in healing the natural way. Soon she and the Dr do start butting heads. Rosemary gives advice at the Dr's office, he feels she is giving medical advice, and it will be against him if something goes wrong. I loved the interaction with Rosemary and her beloved dog, Bodie. Also some of the other Characters in this book are so heartwarming and love the Lord. One is Jacob West, he is developing feelings for Rosemary, but goes out of his way to help her. This story is going to get your attention, with the notes, violence, and things that do go boom in the night! Through it all their faith seems to carry them. The only problem I had was the ending went very quickly, some of it you will be surprised by, and others I had figured out before. I received this book through Revell's Blogging Program, and was not required to give a positive review. In the story, a precocious third grader named Katie shrivels during various common scenarios at her new school--show and tell, chatting in the lunchroom, presenting/participating in class, the playground scene. That is, until a unique superhero swoops in to the rescue, demonstrating how to have self confidence and courage. About Author Stacey Marshall '86 recently released a bestselling children's book, Captain Courage and the Fear-Squishing Shoes. A copy of the book has been donated to the CCDS library in honor of Merrie Jane Pierce, one of Stacey's former Charlotte Country Day teachers and a current CCDS grandparent. An exceprt from one of her reviews: “Stacey Marshall spins an inspiring and heartwarming story of acceptance for who you are and the courage to become an active participant in one’s life. A must have book!” - Donna M. McDine Award-winning Children's Author, The Golden Pathway Stacey is under contract for a second book in the Captain Courage series due out within a year. 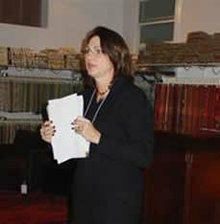 Learn more about Stacey, her book series, and where you can purchase a copy of her latest book at www.captaincourage.com. A delightful book that should be mandatory in every elementary school. When a sweet little third grader, Katie, moves to a new school, Blythe Elementary. She is paralyzed with fear. An out going child, who is now in something new, and is very afraid. You will love how the wonderful teacher Mrs Berrycastle, and the Principal Mr Magico, trying to put the children at ease with their manner and smiles. They notice how shy Katie is, and she seems petrified to come out of her shell. The name of the book brings a smile to my face, and when a super hero with fear squishing shoes shows up in the class room one day, we find out what an amazing school she attends. The super hero's name is Captain Courage and you will love his super powers. 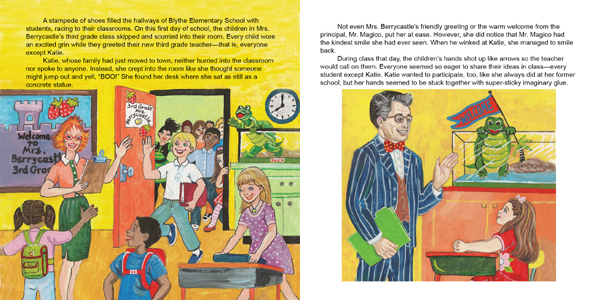 The book is geared to the ages 4 to 11, and the brightly colored pages just draw you in. Each child will feel special, and the book is just made for them and their imaginations. I shared this with my 5 and 7 year old grandsons, and they wanted it read again and again. 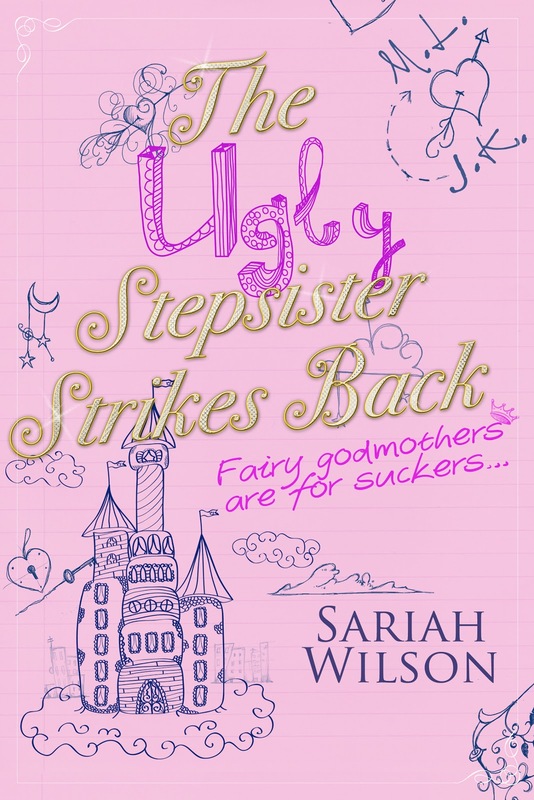 I received this book from the Author, Stacey Marshall, and was not required to give a positive review. Captain Courage and the Fear-Squishing Shoes is available at Amazon.com, Barnes and Noble.com and select retailers throughout the US. For more information on author Stacey Marshall and the Captain Courage series, visit http://www.captaincourage.com. Check out Stacey’s humorous video about the way kids communicate today vs. in the past: http://youtu.be/g6PGMFuAvD4. Wanda Brunstetter is an award-winning romance novelist who has led millions of readers to lose their heart in the Amish life. 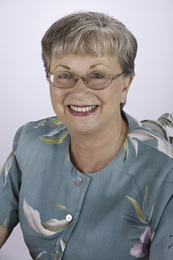 She is the author of over 60 books with more than 6 million copies sold. Many of her books have landed on the top bestseller lists, including the New York Times, Publisher’s Weekly, CBA, ECPA, and CBD. 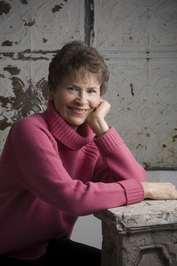 Wanda is considered one of the founders of the Amish fiction genre, and her work has been covered by national publications, including Time Magazine and USA Today. Wanda’s books have been translated into four foreign languages. This story is about a young couple who are facing financial struggles in today's economy. Luke Stolzfus, has lost his job making furniture, last hired, first to go. Meredith and Luke have only been married a year, and this has put a big strain on their marriage, as Meredith thinks she might be pregnant. Then a prayer is answered, at least for Luke. His Uncle in Indiana wants him to buy his business, and bring back to the Lancaster area. It will take most of their savings to pay for half the business up front, but Luke is sure he can make a go of the tombstone engraving business. As he prepares to leave, Meredith has uneasy feeling about his leaving. There is a bad storm brewing, and although everyone tries to reassure her that bus drivers are used to this weather, she is have a hard time. This is the first installment of a six part book, we end on a cliff hanger, be prepared for some anxious moments! I received this book from Handlebar, and Barbour Publishing, and was not required to give a positive review. 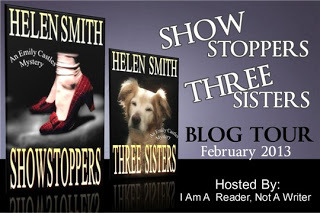 This is the first book I have read by Helen Smith, and it is a very fast read. 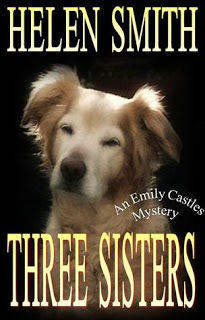 We begin with Emily Castles, coming home after loosing her current job. Perchance her neighbor mail has made it into her box, so she goes to give it to the rightful owner. Thus begins a mystery. Victoria finds that this is another rather threatening letter. 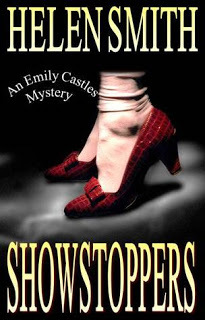 She in the end wants to hire Emily to help at her with Showstoppers Showcase. We immediately take twists and turns, and is Victoria's former College Sweetheart, David is behind this or who else? This one will keep you guessing right to the end. We meet some really different character's here, and are in for a few chuckles. Enjoy!! I received this book through I Am A Writer, Not A Reader's Book Blast, and was not required to give a positive review. Very unusual neighbors for sure! 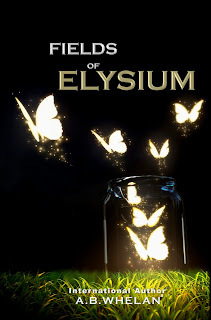 This is the second book in this series that I have read. We reunite with some from the first story. Emily reluctantly goes to a very weird party one of her neighbors is having. She lives in London, and enters and sees a troupe of performers. I think I would have turned around right then! Or at least in a few minutes, when she thinks she has witnessed a murder. Emily is the type that once she sees something...she has to see it through. She cannot let it go, even when her own safety is in danger. This is a very quick read, and with most mysteries once you begin, you won't put this one down until you are done. It is only 40 pages long!